"Loving someone is holding them close when they are down, drying the tears streaming down their face, feeling your heart skip a beat when they smile, telling them to take care and to be careful, forgetting the world when you just hold their hand, and loving the sparks in their eyes, even though you might be the only who notice them." To say that 2014 has been a bad year for the aviation industry would be an understatement. First, the disappearance of Malaysian Airlines MH370 who remains a mystery till now, then the second air tragedy when MH17 was shot down near the Ukraine-Russia border. Just when we though that it couldn't get worse, we woke up to the devastating news of AirAsia flight QZ8501 last Sunday. In short, flight QZ8501, carrying 162 people bound for Singapore from Surabaya lost contact with air traffic controllers about an hour after take-off. Minutes later, it disappeared from the radar. Search operation started immediately with some false alarms. Today, the third day of the operation, the missing QZ8501 has been found. 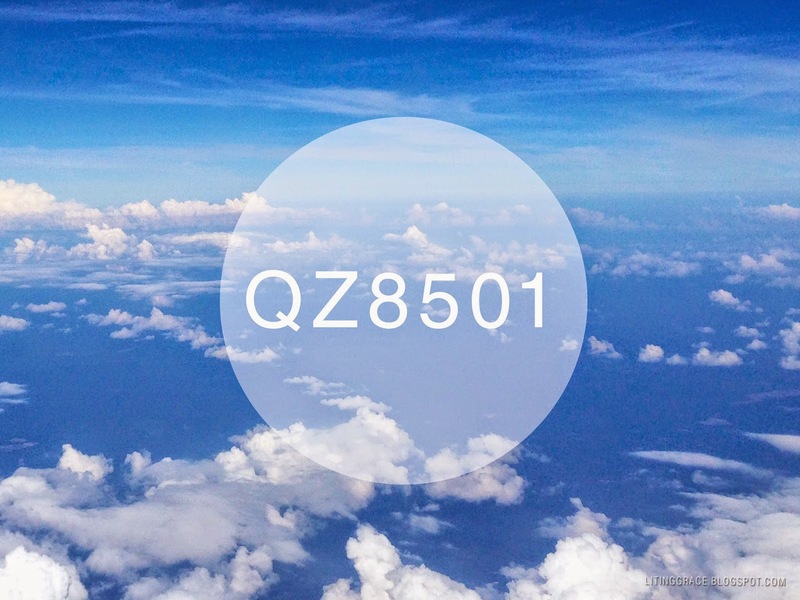 Debris from QZ8501 was sighted off Pangkalan Bun near West Kalimantan and a suspected "shadow" of what could be the missing jet had been spotted as well. As of 8.30pm, 3 bodies (instead of 40 which had been reported earlier) had been recovered from the debris site. The tragedy of flight QZ8501 hit me hard; the route is too close to home; Surabaya was a destination that I flew on a weekly, at times daily basis when I was still an air stewardess and I had just flown on an AirAsia flight earlier this month to Kuala Lumpur. It's been many years since I left the airline but a part of me has and always will be with SilkAir and each time I reach about an air tragedy, it never fails to break my heart. As we start preparing for the new year, let us take a moment and pray for each and every one of those who has lost a family member, a loved one to an air tragedy. May each of them have the strength and fortitude to get through this time of grief.